The end of the journey was progressing and I was delighted that the very motto of exploring the city at its best was fulfilled till yet. In spite of having everything in my travel lists till date i.e., the beautiful images of nature, the cultural activities of the inhabitants, the local food and multi cuisines, the makbaras and the tombs, historical facts and its evidences, yet my lust has never deteriorated, owing to my greedy nature for travelling and driven experiences. With some high hopes or similar to that of the earlier achieved ones, I started off to land on my last but not the least visiting place, Shah Najaf Imambara Lucknow, an attractive monument of its time situated on the banks of River Gomti. The most striking fact about the Lucknow city is its easy conveyance facility and with no hassle I took a cab to reach the place. Well-Maintained by the reputed concerned authority, the monument is one of the must-visit place of tourist attractions. An adorable white domed structure, the monument is a splendid construction of Nawab Gazi-Ud-Din-Haider, serving as his mausoleum. It comprises of the tomb of the Nawab, done in silver and that of his wife, a more imposing creature, done in both gold and silver. 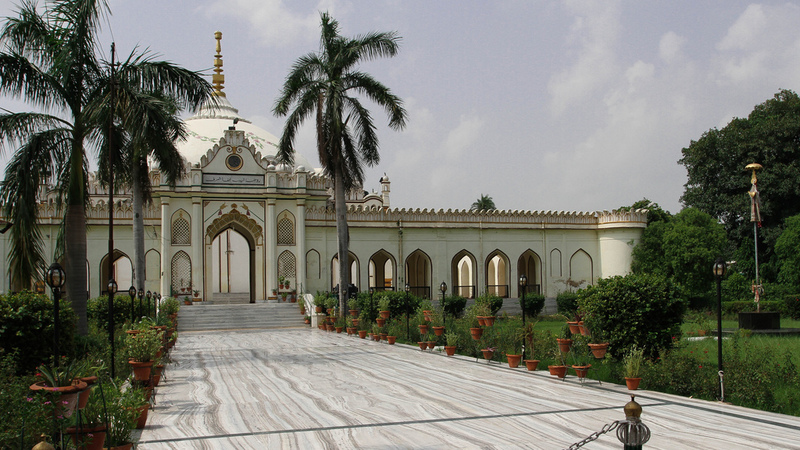 The sprawling beautiful garden flanks the entrance of the tomb. 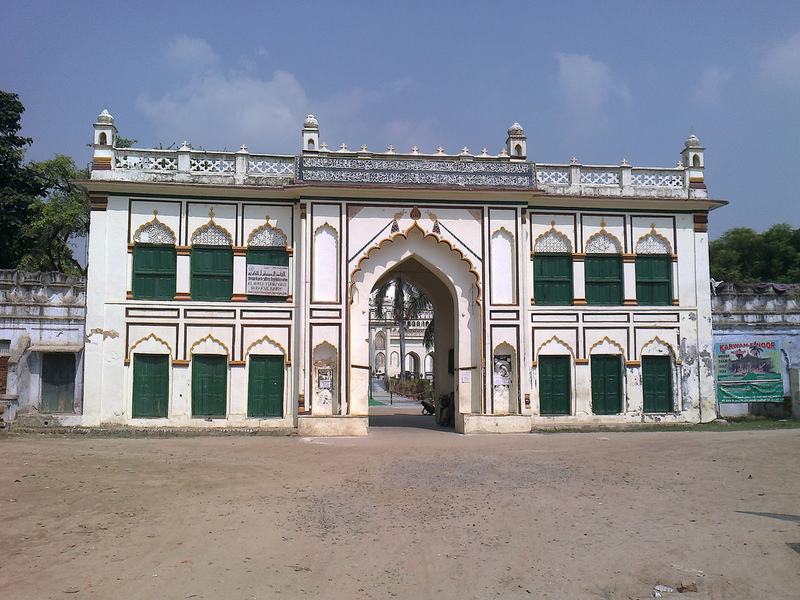 Surrounded by a boundary wall as the safety measures, the interiors are simply awesome, finely decorated with photos and historical items with embedded engravings. The exteriors are plastered with contemporary material and lime, and the whole monument is encircled with stylish walkways captivating my eyes. The large onion shaped dome with a slender neck like drum at its base is quite featuring, making it unique unlike the other domes. Shah Najaf Imambara Lucknow, as told by the guides gives a spectacular view on the birthday of Hajrat Ali, being illuminated and profusely decorated with colored lights. I took an exit as it was the time to bid goodbye to the lovely city with Nawabi culture and its belongings. Its amorous ethos and mystical elegance had extendedly caught my fascination, served with legendry hospitality. The tales and the experiences of my travel were unresisting to be disclosed to my loved ones and I geared back to my hotel for the check out purpose. This entry was posted in Arts, Historic Places, Travel. Bookmark the permalink.